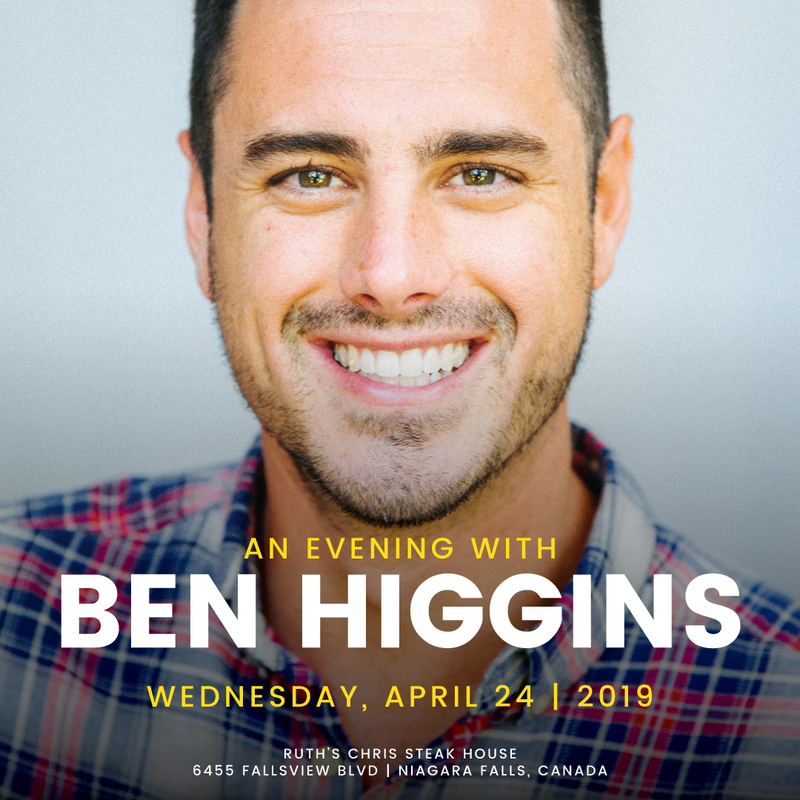 Join us for a rendezvous with Bachelor Nation’s most beloved heartthrob- Ben Higgins. From friendships to relationships, Ben has the recipe to traverse through all spheres of life. A thorough perfectionist and an ideal romanticist, one’s sure to get smitten by this charming lad. The evening will consist of a four-course meal at Ruth’s Chris Steakhouse, followed by mix and mingle with Ben Higgins at the afterparty.